Cibdol - What Is The Difference Between CBD and THC? Blog What Is The Difference Between CBD and THC? CBD stands for Cannabidiol and THC stands for tetrahydrocannabidiol. They are both key ingredients in marijuana plants. Cannabinoids are a unique class of compounds and both CBD and THC belong to this class. High THC strains are common when it comes to marijuana but strains with high CBD are rare. The following are a few key differences found between CBD and THC. Cannabis has more than 113 cannabinoids and CBD is one of them. It is usually marketed in chewable, cream and liquid forms on its own. It interacts with the receptor cells and boosts the response of the nervous system in the human body. Human body has two cannabinoid receptors – CB-1 and CB-2. It is also a natural suppressant. THC is not only one of the 113 cannabinoids but it is also the major psychoactive ingredient found in cannabis. THC happens to be the most researched and popularly recognized compounds of cannabis. It interlocks with the nerve cell receptors but the reaction is quite different from that of drugs like morphine and heroin. Dopamine is released as a result of THC’s interaction with the brain. The effects of THC last for 2 hours. The effects start within 10 - 30 minutes of ingestion. Marijuana’s most psychoactive ingredient is probably THC but CBD, on the other hand, is completely non-psychoactive. This is why THC gives users a high while CBD does not. This is why recreational users never prefer CBD but its non-psychoactive properties have made it a good candidate for medical research. Paranoia and anxiety are some side-effects of using THC which many users have experienced. On the other hand, CBD has fared better in this area. A scientific paper studied the psychotomimetic effects of both CBD and THC in 134 users and CBD showed no results related to causing paranoia and anxiety. THC has effects similar to psychosis. On the other hand, CBD is non-psychoactive and also helps to counteract the psychoactive effects of THC. A research paper showed that CBD had properties to reduce the high of users because of its antipsychotic capability. CBD as one of the active compounds in various pharmaceutical medicines and medical research. One of the researches is by GW Pharmaceuticals which was reported by The Guardian a couple of weeks ago. 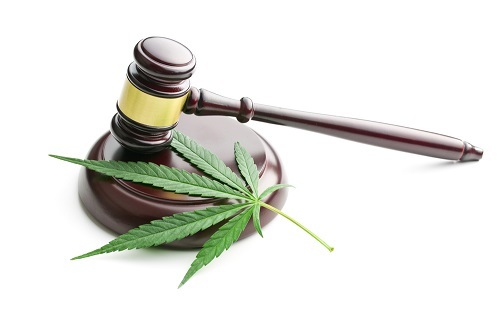 The legal status of marijuana is pretty black and white – it is illegal in most countries. CBD falls under Schedule I drugs in the U.K. and is thus, illegal, technically speaking. However, CBD Oil which consists of 4% CBD and less than 0.05% THC is legal. Hemp, which consists of CBD is legal and is easily sold and bought in a lot of countries, including U.S and the U.K. Thus, derivatives of CBD and THC are easily bought and sold all over the world without any restrictions. Recently, a lot of research has gone into the benefits of CBD over THC and this is main reason why high CBD cannabis plants are being created by growers. These plants have low THC levels. CBD oil natural supplements are also pretty popular with users.